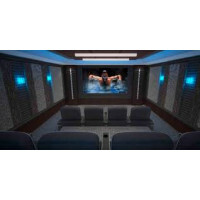 This package is for a Home Cinema system with projector and screen. 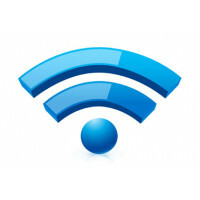 Complete with a full Dolby A..
Wi-Fi around your whole home with no disruption, this package is designed for a home with a fo..
Total AV Control is based in Guildford, Surrey. We mainly cover, although not restricted to, Surrey, Hampshire, West Sussex, Kent and London. Total AV Control was founded in 2005 and we specialise in the selling and the installation of AV equipment in private, corporate and educational facilities. Items include home cinema equipment, interactive white boards, and projectors for all facilities, sound solutions and much much more to give any project the wow factor. Our aim is to offer an outstanding quality of service and achieve exceptional customer satisfaction from the moment you place your order to when we complete your installation. All orders placed online for delivery to the UK are delivered free of charge, but the price does not include installation. Please contact us if you wish to discuss installation requirements. We can arrange a free site survey and offer professional advice on the best equipment to suit your specific requirements. Although we are continuing to keep our online shop up to date, we have access to hundreds more products. So if you can’t find what you're looking for or need more assistance, do not hesitate to send us an email or give us a call and we will assist you in trying to find the correct product for you. You will find all our contact details at the bottom of the page.